DOROTHY PERKINS FIT & FLARE FLORAL LACE DETAIL DRESS. BUST 51" RELAXED. STRETCHING TO 60" COMFORTABLY. STRETCH DRESS IN A FLORAL DESIGN WITH DAINTY BLACK LACE NECKLINE. FREE BELT TO MATCH. MIDI LENGTH. 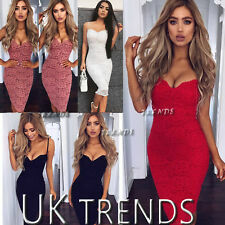 red midi length lace insert bodycon asos dress size 12 BNWT. Condition is New with tags. Dispatched with Royal Mail 1st Class. Fashion Women Summer Lace Long Sleeve Party Evening Cocktail Short Mini Dress .. Treat yourself to a PHASE EIGHT black attire for any special events coming your way. Waist tie fastening included. Dry clean only. waist; 26". Joanna Hope. Soft stretchy lace. Lining polyester. Pit to pit 23”. Length 49”. Sleeve 14”. Bell cuffs. 2-pieces Lace long midi stretch bodycon dress. 81cm full length (the skirt). 100% Polyester. Don't miss ! Size 10 UK / 38 EUR. Good used condition. Sheer yoke & sleeves. Genuine PHASE EIGHT with all inner labels intact. Stretch sheer lace. Fully lined in soft stretch polyester. Size UK 16. Waist - 17". Bust - armpit to armpit - 20". Not the one for you?. We have a selection of new dresses and other clothing available! VIP MIDI LENGTH DRESS. THE DRESS IS ALL OVER LACE WITH EMBROIDERY TRIM. BLACK IN COLOUR. Black Lace Trim Satin Bodycon Dress Size 4. Condition is New with tags. Dispatched with Royal Mail 2nd Class. Please note material is slightly see through. Amy Childs Ladies Black and Pink Bodycon Dress Size 8. White dress with floral design on front! Beautiful Dress with lovely detailing, cut and fits really well. MONSOON fitted Wiggle Dress 14 Stretch Shift With Lace Top & Collar . Condition is Used. Dispatched with Royal Mail 2nd Class. Beautiful Monsoon dress with lace upper bust. Back concealed zip and buttons at the back of the collar. The lower part of the dress is a soft stretch type fabric which is in very good used condition. The photos look like the fabric is a different shade to the black but this is due to the camera only and it does not look like this in person. Size 14. Back vent on the dress. This would look great numerous ways; at work with a jacket over, on it's own with tights and shoes or just as it is with some strappy sandals and some statement earrings. Versatile dress would could easily take you day to night. DUSKY PINK IN COLOUR. VIP MIDI LENGTH DRESS. MIDI LENGTH STYLE. THE DRESS IS ALL OVER LACE WITH EMBROIDERY TRIM. Missguided Black Lace Trim Zip Back Adjustable Straps Bodycon Dress UK Size 8 Condition is Used Dispatched with Royal Mail 2nd Class. Sheer yoke & sleeves. Genuine PHASE EIGHT with all inner labels intact. Stretch sheer lace. Fully lined in soft stretch polyester. Size UK 14. Bust - armpit to armpit - 19". 3/4 lace sleeve design, deep v neck/wrap style, stretchy, fitted at waist, straight, mid calf dress. Material:Poly Cotton, Lace and Polyester. Made of Poly Cotton, Lace and Polyester. XL 10 14 14 40 98cm. Laura Ashley Black and Cream Bodycon Dress Textured Material Lace Panels Size 10. Dispatched with Royal Mail 2nd Class. Black Sleeveless V-Neck Dress in a Stretch Fabric size 22. With Net Lace Skirt over light coral /flesh pink under layer.